Welcome to our SlotoCash Casino review! Please don’t forget to contribute to the page by sharing your honest experience with other OnlineCasinoBluebook.com readers. 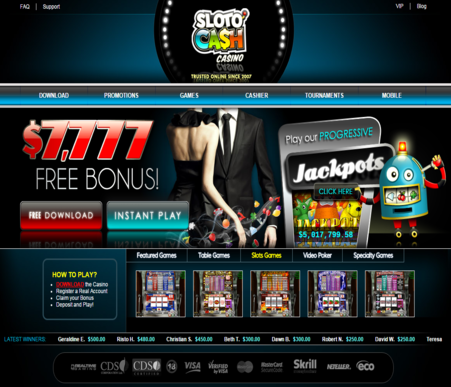 SlotoCash Casino is a really great site to play on. All of the bright colors and realistic sound effects easily transport you into the world of live casinos. Other sites may skimp on these two features in an effort to make their online casino more upscale, but this usually backfires on them, deterring clients instead. SlotoCash is one of the safest and most secure online gambling websites available. They have games and features that will appeal to a wide crowd of people and players and are constantly making sure that they only have the latest and most popular games available for their players. If you are looking for more classic types of games, SlotoCash has those, too. You really have to go through each category of games to find exactly what you are looking for. Some games, like roulette, are categorized under the Specialty Games category, where other sites may classify them as table games. SlotoCash has many different types of bonuses and promos for their clients and has laid them out in great detail for all to view. This method allows you to get a really good luck at the bonuses you can earn, without masking the fine print. 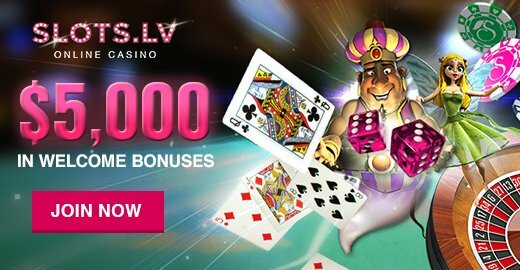 Just about all casinos offer some type of sign up bonus, and SlotoCash is no different, offering you the chance to get a whopping $7,777 in free money. There are also high roller bonuses to be earned and a really good loyalty program. There is not any kind of sign up bonus to join this club, but it does require a minimum of $50 deposit to your account before you become eligible. Once you do sign up, you instantly start earning points towards branded merchandise and free money. What isn’t there to like about that? SlotoCash understands how frustrating it can be when something goes wrong, and particularly when you cannot find an easy answer to your question. Instead of having the only solution be to contact their customer service desk via telephone, they have found the answers to their most popular questions, and then some, and have put it together on the website for you to browse at your convenience. If you still cannot find what you are looking for, or just don’t have the time to dig yourself, there is absolutely still a hotline you can call, as well as an email address. The other way to contact them, and perhaps the fastest and most convenient, is by opening up a live chat in which you can directly connect to a customer service representative. SlotoCash is a really good online gaming site. While there are plenty of table, poker, and specialty games to choose from, there real focus is clearly on slot games. One great feature this website uses screenshots from the slot games so you can get a visual example before betting any of your money on a game that you may not like. While not all bets are big ones, money is money. Thank you for reading our SlotoCash Casino review!